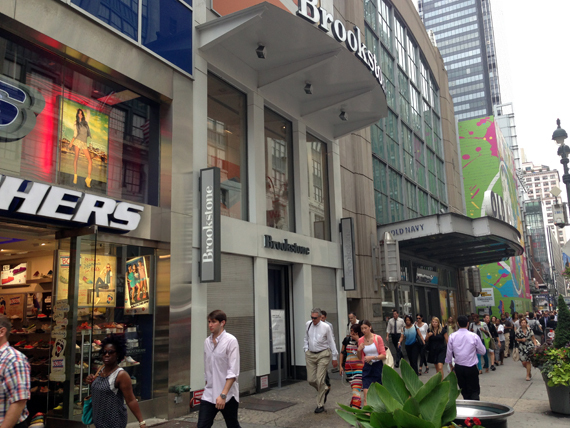 Wasn't I just saying that the retail landscape changes surprisingly often on 34th Street? 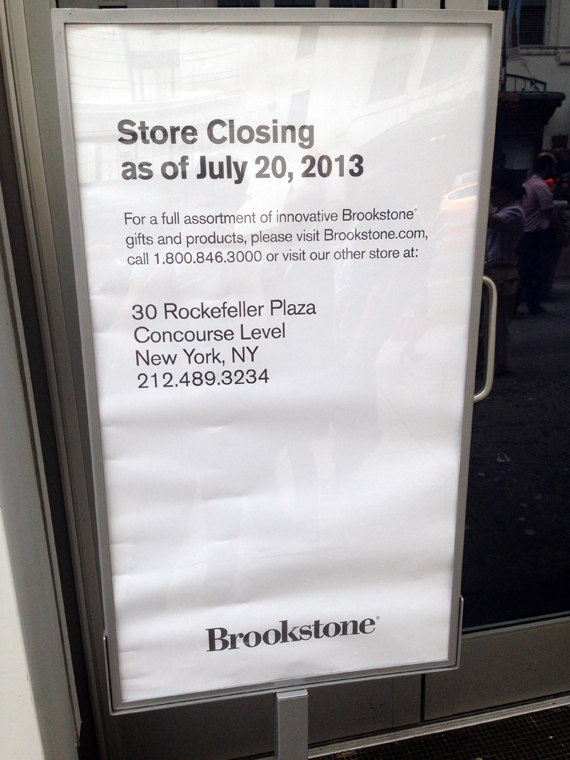 Although it was there last Thursday, today Brookstone is gone from 34th Street. Over the weekend, the retailer closed its doors. We should be announcing soon who is moving in. The rumors are already flying, so stay tuned here for more info on this space and another further down 34th Street between 7th and 8th Avenues. Closed doors as of Saturday, July 20th.